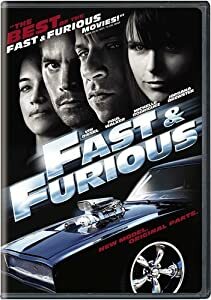 Fast and ferocious is not another phony Obama administration scandal like Solyndra, Fast and Furious, Benghazi or the IRS targeting TEA Party groups. Fast and ferocious is how I describe GOP, FOX and their allies speed and venom in making up new allegations to divert the public and the media from real scandals such as the recent GOP-sponsored government shutdown and the continuing GOP obstruction. It is much easier and less time-consuming to make up false charges than it is to refute them. Obstructionists on the Right accept neither science nor logic in the refutation of their claims. Their false charges live on in the blogosphere, on talk radio and on FOX. For an example, please see the second related article below. Now that the phony debt ceiling crisis is over, FOX, the Benghazi network 24/7, has gone back to its reporting of phony Obama scandals. They are concentrating on Benghazi for the moment, but I am sure that they will resurrect the phony IRS scandal too. Thus far, no one at FOX has thought to connect all the phony scandals in one narrative. It may be stretching things too far, but really nothing is too far for FOX. They might falsely claim that Solyndra was a CIA false front, approved by the IRS, and used to funnel money and guns to drug dealers in Operation Fast and Furious and arms to terrorists in Libya. Faux, false, FOX–three synonyms all meaning false. Recently FOX News has transformed itself into the Libya News channel in the pursuit of a non-story about the 9-11 attack in Benghazi. I suppose that is because they think that they can garner more votes for Mitt than in any other way. It has been almost four since Barack was inaugurated, and I cannot recall all the charges the GOP have made against this President. However, every one that I can recall has been false, and the Benghazi story is no exception. Congress is not in session, but in order to make political hay while the sun shines, the GOP is holding hearings in Washington about the tragedy in Benghazi, Libya, where four Americans died during a terrorist attack. The GOP are trying to blame the Obama administration for the deaths, hoping to gain votes in the November election. 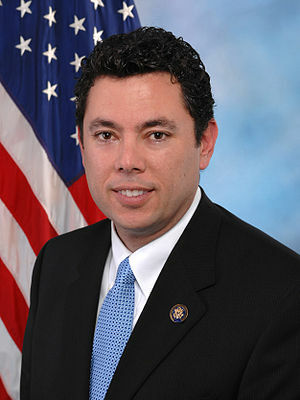 Yesterday on CNN, Jason Chaffetz, a GOP House member from Utah and newly returned from Libya, admitted that the GOP had reduced the appropriation for State Department security by $100+ million in 2011 and $300+ million in 2012. Secretary of State Clinton had warned that the cuts endangered national security, but the GOP insisted on them. Now that Secretary Clinton’s warnings have come true, the GOP are trying to blame President Obama for not preventing the attack. In an aside, Mitt Romney has been pretending to be saddened by the death of Glen Doherty, one of the former SEALs working to protect the US Ambassador, Chris Stevens. The mother of the slain former SEAL, Glen Doherty, has asked that Mitt stop talking about her slain son. A friend of Glen Doherty reported on MSNBC last night that Mitt really did not know Glen Doherty. The Romney campaign has shifted direction to try to make Mitt appear more human, reportedly at the direction of the Romney family.